The bells are made of various materials to be placed at the entrance of single house (outside the apartment of an apartment house). The materials used are three: stainless steel, available in brushed or PVD titanium nitride with a shiny or satin finish; aluminum available in five finishes and brass available in four finishes. 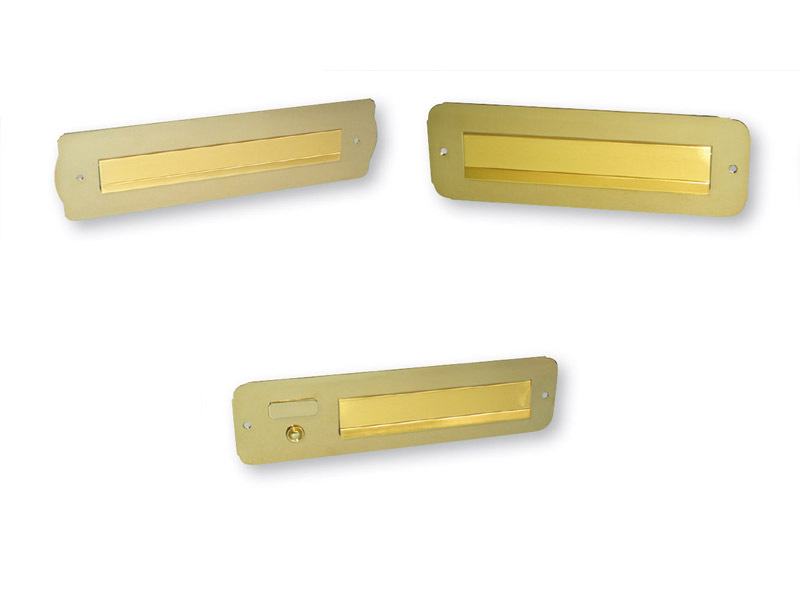 Instead, the letter-holes (to be inserted, for example on a door) are available in stainless steel only in three finishes: brushed steel, polished PVD steel and PVD satin finish. The extensive range has been designed to meet the needs of different types of customers and home environments. 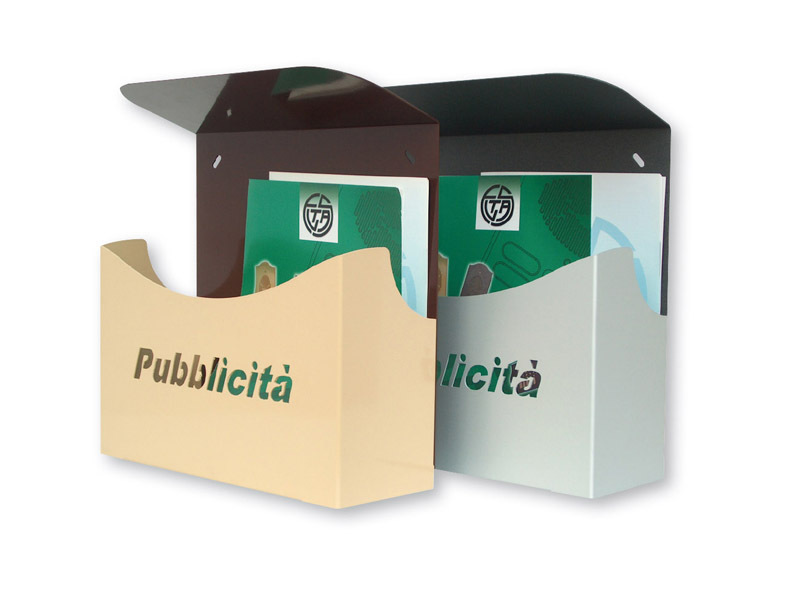 They are box for the collection of condominium advertising, that allow you to separate private correspondence from advertising flyers, that often (unwanted) fill our mailbox. We have two families of pickers for advertising: one made ​​entirely of aluminum (with rain cover), the other in galvanized sheet steel painted (without rain shield).